What’s Growing in the Basement of the Ashern Elks Hall? Starting in July 2009, a group of people started a journey in the basement classroom of the Ashern Elks Hall. Today, they are headed into the final leg of that journey with the finish line in their sights. Who would ever have believed that a basement space would grow a qualified troop of local teachers? In two short years, this dedicated and resilient cohort will graduate from Brandon University with Bachelor of Arts and Bachelor of Education degrees from their basement classroom. The Interlake Teacher Education Program (ITEP) is a unique pilot community-based education program which has enabled learners to stay in their home communities and hold down jobs while getting their degrees. 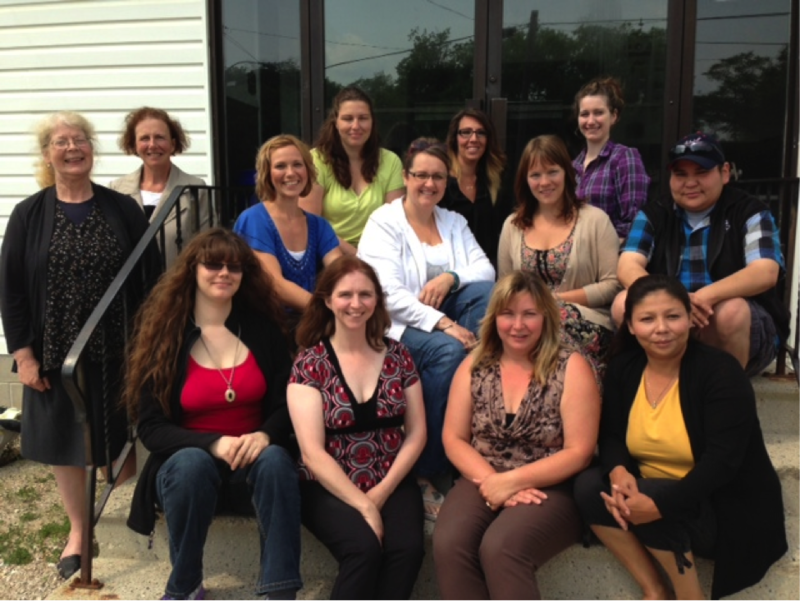 In conjunction with Brandon University, Fieldstone Ventures Education and Training Centre Inc. initiated this project in partnership with local school divisions and First Nation education authorities to “grow their own teachers.” The program was originally conceived for teacher assistants working in local schools to further their studies and continue to work while getting their degrees. As it evolved, it was opened up to any individuals wishing to further their education, and the momentum has grown to attract individuals to choose a career in education. Students come from the Northwest Interlake, from as far as Lake St. Martin and Little Saskatchewan First Nations in the north to Lundar in the south. Brandon University professors have been traveling to this unique basement classroom in order to accommodate the project. The learners attend classes on weekends through the months of September to April, with homework to carry them through the week. During May, June and July, they attend class full-time. During the final three years, their program allows them to receive full-year campus-equivalent credit hours. It was initially planned as a seven-year program but has evolved, and will now enable these dedicated students to obtain their degrees in a six-year span. As a result of the success of ITEP, these teachers-in-training will be ready to go to work in your local schools by 2015.